In households across the nation, we wake to the sound of paws clambering across the kitchen floor and the delightful feeling of wet drool kissing our hands – the beloved family pooch kindly reminding us they are ready for breakfast. No matter their shape or size, the mere companionship of a four-legged friend is enjoyed by countless families. 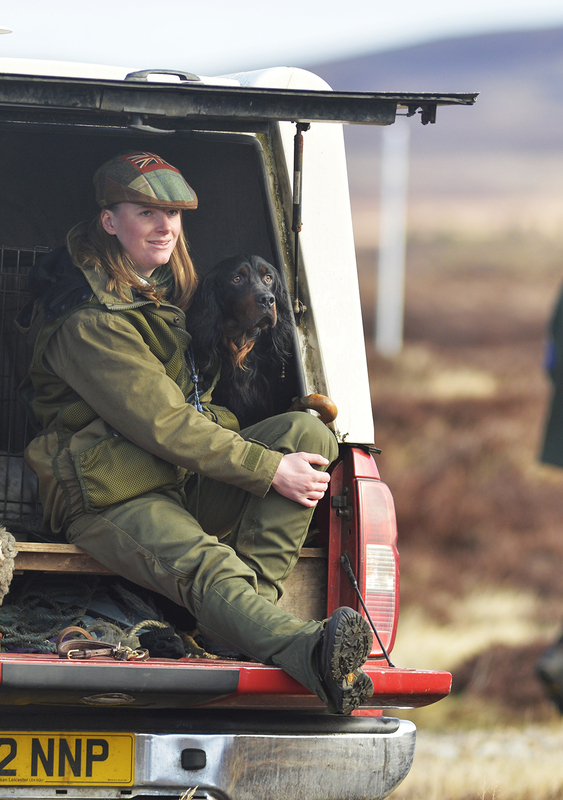 The partnership between man and his hound in the field, however, is rather more critical – whether they are used for their speed, stamina, strength or sense of smell, these dogs have long played a crucial part in Scotland’s hunting and shooting scene. Immediately, thoughts turn to energetic springers paving their way through dense heather, to cockers flushing birds from the undergrowth, or to faithful old labradors triumphantly presenting a pheasant at their master’s feet. 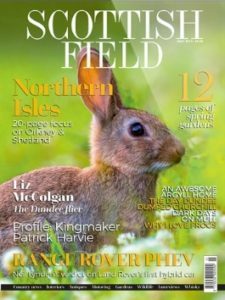 But what of indigenous Scottish breeds like Gordon setters and deerhounds? And what about our dandie dinmonts and Skye terriers? 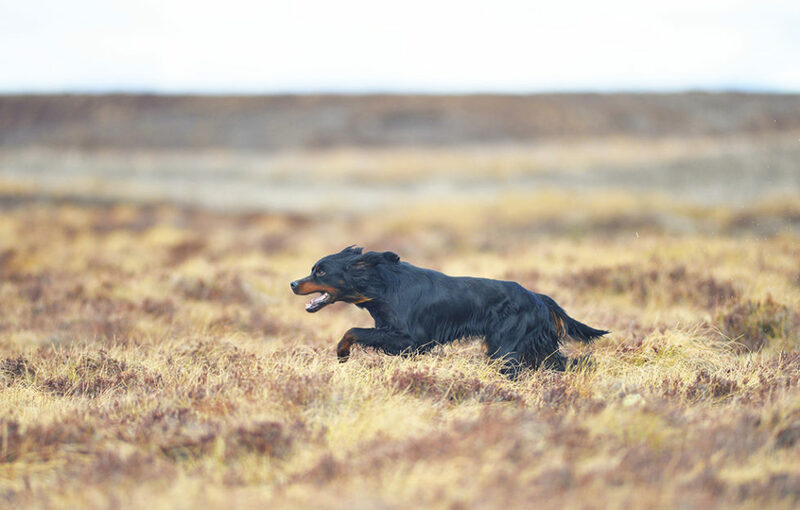 Though, historically, these native breeds were highly valued for their hunting abilities, they now find themselves sitting rather uncomfortably on the Kennel Club’s ‘vulnerable breeds’ list. A Gordon setter has a moment’s rest. Quite unbelievably, each of these breeds saw less than 300 puppies registered in the UK in 2017. With only 40 puppies registered, the Skye terrier is among the worst affected, leaving the descendants of poor old Greyfriars Bobby in a vulnerable state. 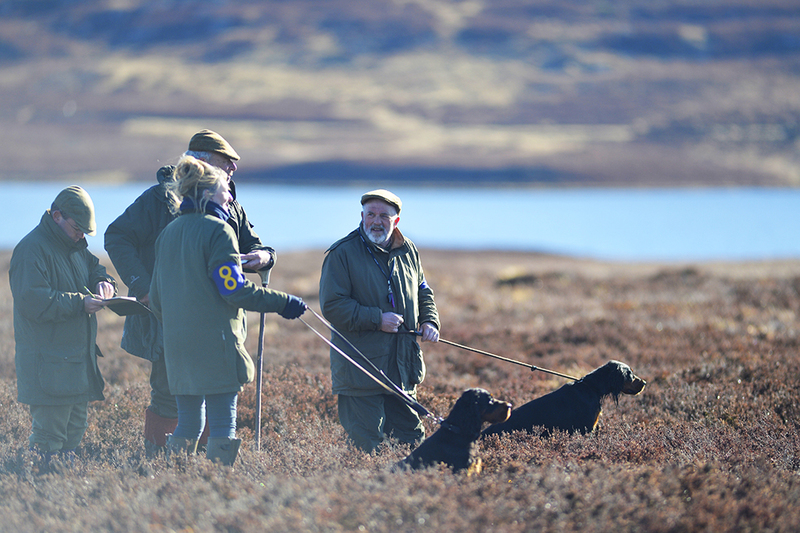 The terrier’s innate desire to hunt otters, fox and other burrowing animals has been hampered by Scotland’s declining hunting industry. Much like the British Otterhound, the Skye terrier suffered when their main purpose – otter hunting – was outlawed during the 1970s and 80s. More recent restrictions on fox hunting have also contributed to their declining popularity in field sports, but they are not alone: the dandie dinmont terrier, whose name comes from a character in Sir Walter Scott’s book Guy Mannering, and, even more surprisingly, the Parson Russell terrier, find themselves in the same precarious position. Seduced by the fashionable handbag dogs of today, historic breeds are being overlooked. With pooches being bred for their looks as opposed to their functionality, once-popular working breeds like the Skye terrier, bearded collie, otterhound and curly coated retriever are dropping off the radar. This inevitably creates a knock-on effect, explained Mike Taylor of the Skye Terrier Club. ‘Because there’s no real demand for vulnerable dogs, nobody’s breeding them,’ he said. ‘And when people are told they have to wait six or seven months to get a Skye terrier, they go off and find some other breed instead. But no one in their right mind is going to breed a litter when they’re going to be left with half of it on their hands.’ What’s more, with fewer litters comes fewer bloodlines, making it difficult not to inbreed them. 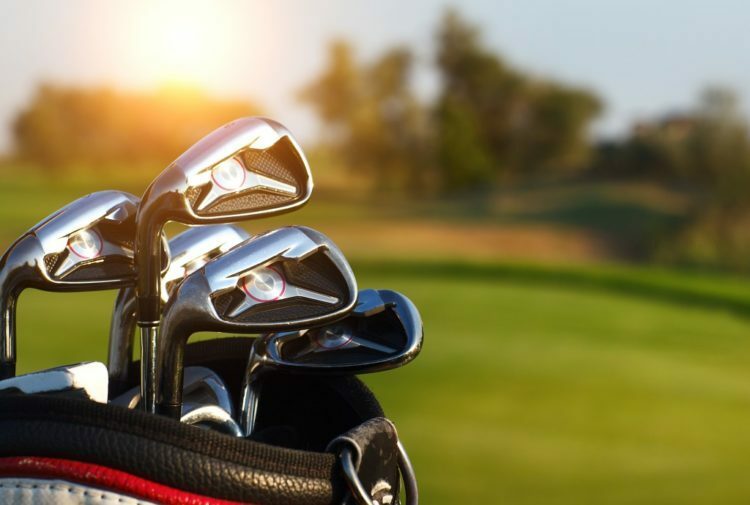 There is also the question of practicality. The Scottish Deerhound, ‘a most perfect creation of heaven’ according to Sir Walter Scott, was historically used for its speed and endurance to hunt red deer. The breed struggled throughout the nineteenth and twentieth centuries, and with the technology for breech-loading rifles advancing, deerhounds quickly became obsolete. The two World Wars, in which food was rationed and these ravenous dogs were a luxury few could afford, were the final straw. Anastasia Noble, descended from the ancient Scottish family at Ardkinglas, devoted 70 years to saving these elegant hounds. She bred 135 litters and produced 24 champions, becoming one of the world’s renowned deerhound breeders. And yet today, not everyone takes to the idea of an oversized dog cuddling up on their sofa. Last year saw only 266 deerhound puppies registered with the Kennel Club, although that was a marginal increase from 2016. In hunting and shooting households, though, having a large hairy creature in your midst is not unusual. 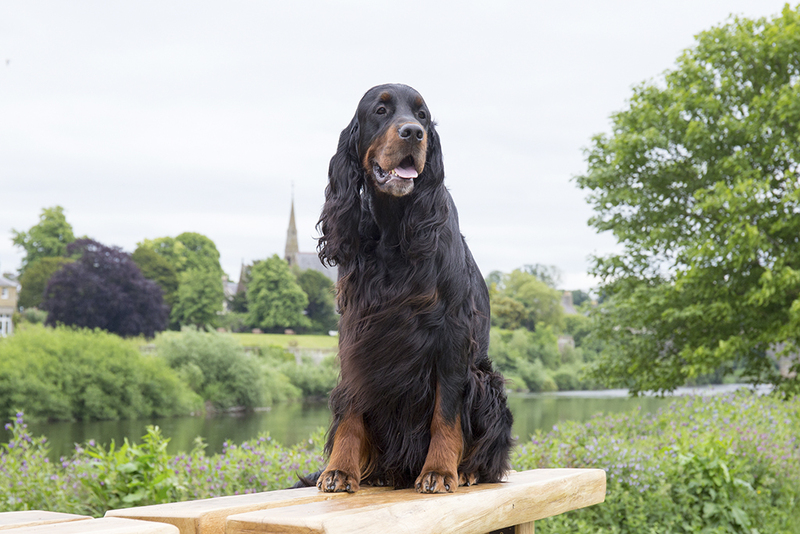 So why are numbers of breeds like the Gordon setter – manageable in size and highly skilled in bird hunting – now dwindling? Variations of the breed were around as early as the seventeenth century, but it was Alexander, the fourth Duke of Gordon (1743-1827) who bred generations of working ‘black and fallow’ setters at his castle in Fochabers. Charlie Thorburn training up some four-legged friends. 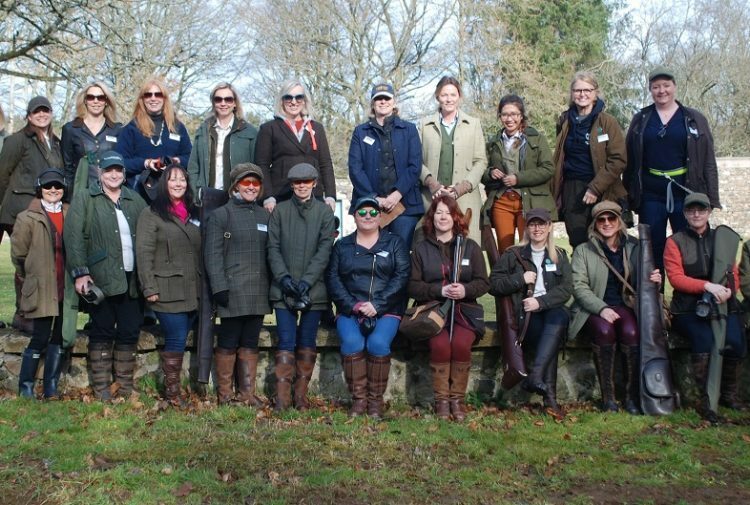 Nor is it just well-entrenched fieldsports dogs such as labradors and retrievers which are displacing traditional Scottish breeds. As people try to show their individuality by buying ever-more obscure breeds, once exotic hunting dogs such as the Hungarian vizla, Weimarinar, Bavarian mountain hound and the leonberger are now commonplace, while hunting dogs such as the Slovakian rough-haired pointer, Swedish vallhund, Nova Scotia duck tolling retriever, Portuguese pointer, Spanish water dog, Catalan sheepdog and Portuguese water dog are all breeds whose numbers are growing rapidly. With dog ownership being basically a zero-sum game, the arrival of these immigrants has been at the expense of native breeds. Yet whatever their purpose – retrieving, digging, chasing in the field…or just raising a smile in the family home by dribbling down your trousers at the dinner table – our vulnerable dog breeds form part of our country’s history. Granted, these native breeds are no longer the hunter’s first choice, but letting them disappear from our streets altogether would surely be a travesty. 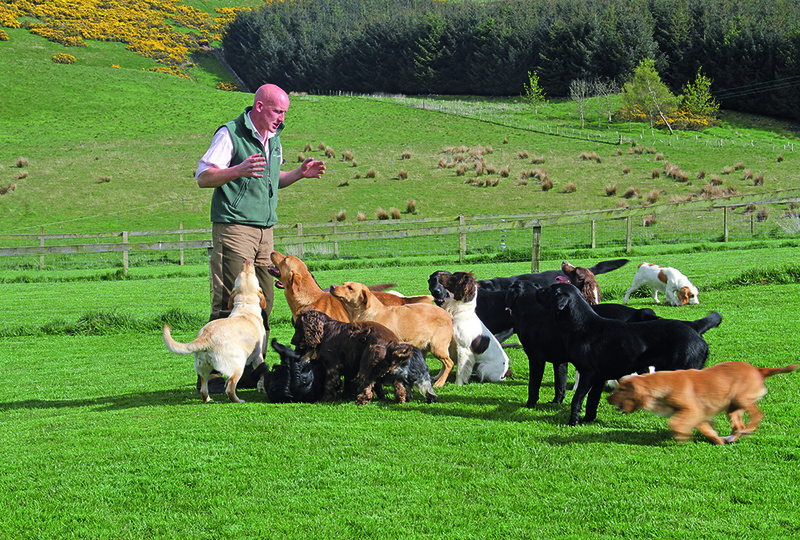 Pointer Trials – Lochindoeb, Invernesshire.